Kateryna V. - neem contact op en Start vandaag met Muziekles! 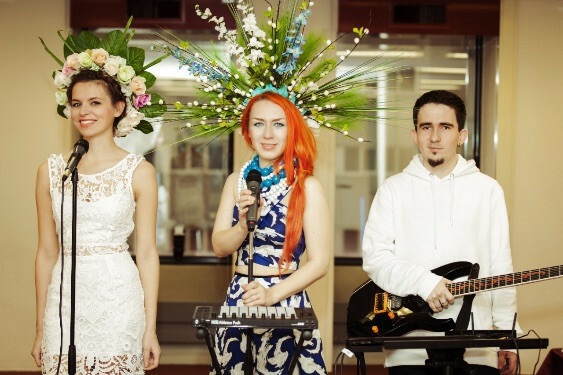 Kateryna V. - Voice Coach, Singer, Songwriter, Producer. Main direction: healthy voice building for singers and public speakers, taking off all mental and muscle blocks for better voice and stage performance. Techniques: belcanto, Complete voice technique, speech level, yoga breathing for stronger voice. Vocal: pop, musical, electronic dance vocals, backing vocals and its harmonization, public speeches. As a teacher who came from Ukraine and have already learnt the Dutch way of lessons, I combine in my voice lessons a strong goal motivation, clear and understandable explanation and gezellige time. My main specialisation, voices after mechanical, or mental damaging processes. You are from 6 to 106 years old. Then I might help you using my own methodes. I use different explanation for different people and situations and work with the problem until it solved together with deep muscle relaxation and mental freedom. With kids, we learn voice through games. Book your trial lesson and let you vocal adventure begin! In 2012 Kate’s single “Stereo Radio” supported by David Guetta. In 2015 With her single “Whisper My Name” she supported a movement of Down Syndrome acceptance. 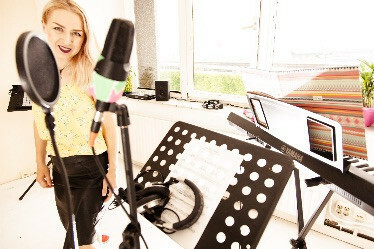 In 2015 Kate studied the sound engineering in SAE Rotterdam which helps now to learn and understand better voice recording and stage mics usage for her students. From 2001 till present day Kate performs with different musicians and produce her own songs in electro pop style. Also she plays as DJ combining mixes with live vocals. The ClubGusto building has a big free parking. From the tram stop its 6 minutes walking only. In the building we have a hot spot for visitors with free wi-fi and affordable coffee and tea, so you can come with your company ( this space is separated from the class).